Temple of Ranma's Sailor Senshi Seifuku • View topic - Misao (Kenshin series) - outfit name? Misao (Kenshin series) - outfit name? 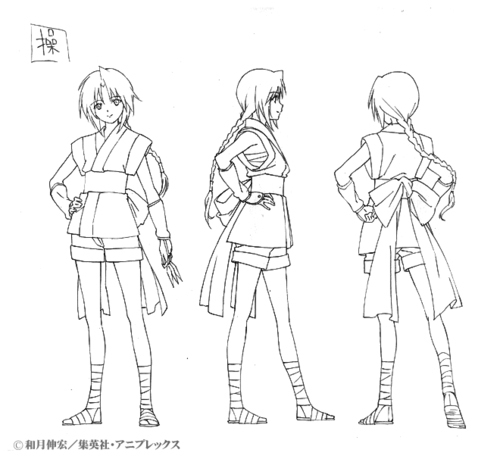 Is there an actual name for the specific clothing Misao wears in the Ruroni Kenshin series (and, by proxy, Nakoruru/Rimururu (Samurai Shodown), I guess, since Misao was said to be inspired by them)? Re: Misao (Kenshin series) - outfit name? Wikia just calls it a "Oniwabanshū-style shinobi shozoku", but i know i´ve seen a more specific name for that style somewhere... Probably from some Naruto-fanfic or canon character description. I'd have to see if I could make it work... but yeah, it's not really all that far from "kunoichi outfit."